little miss was the recipient of a lot of love this past week/weekend. thank you too all our dear friends who sent her special messages & gifts. your generosity is, as always, overwhelming. here are two special items from last week. 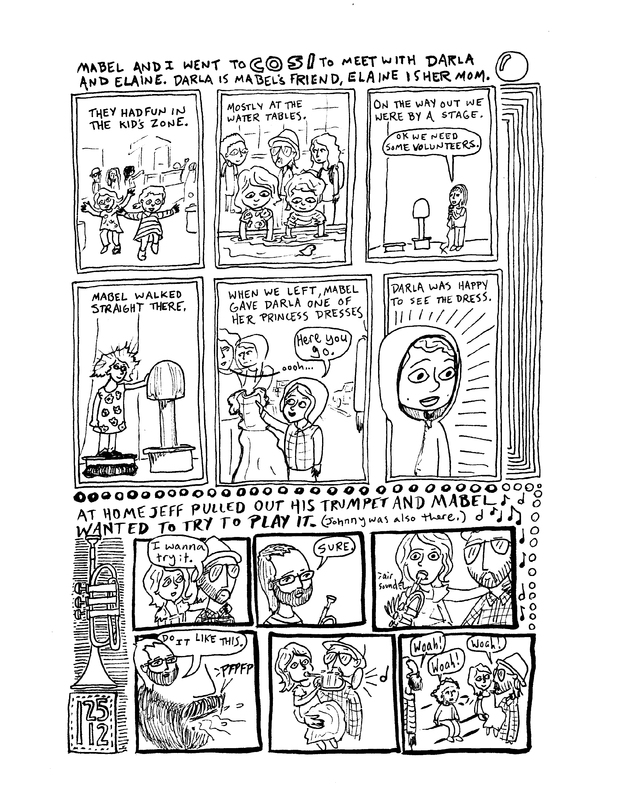 the first being this chris monday comic featuring Darla from our trip to Cosi with Mabel and Chris. Mabel bequeathed a dress unto darla. darla wore it the rest of, well, always. she might even be wearing it now. oh also, that’s me wearing the back pack. smiley. the second piece of lovin’ was this super cute video birthday message from our california based buds. we miss them terribly.